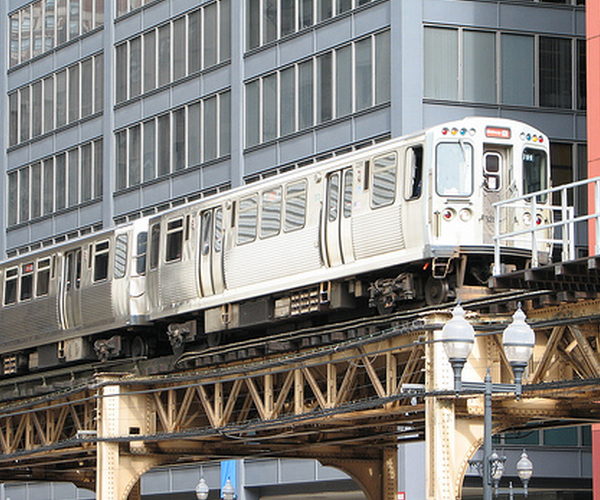 Can Chicago startup mPayy revolutionize the city's transit system? Can Chicago startup mPayy revolutionize the city’s transit system? The Chicago Transit Authority (the CTA) is requesting proposals to change the way its massive network of buses, trains, and other forms of public transit charges for fares. Right now the system functions as a closed-loop, with riders purchasing individual rides and passes in a number of ways, all of which leave the consumer with a paid ride coupon that has no value outside of the transit universe. The CTA wishes to shake that up, and is looking for a new method of charging its customers, looking to grow ridership, and lower costs. There are two general themes on the table: the use of credit and debit cards to pay for public transit, or what Chicago startup mPayy has to offer. Before we get into mPayy, let’s look at credit and debit cards as an option. The problem with using those cards as payment options is that many public transit users are underbanked or not banked at all, leaving them with no route to either a credit or debit card. To pay their transit costs therefore, they must depend on cash (which is slow, a problem for a transit system that handles 1.7 million rides a day), or pay high fees to acquire a prepaid debit card. Around 50% of Chicago transit riders are unbanked, meaning that whoever offers prepaid debit cards stands to rake in substantial fees, especially if it is the same company that takes over accepting transit payments for the city, as they will charge fees the whole way through. This will harm the CTA’s margins on transit, something that it can ill afford. The CTA has another stipulation that makes credit and debit cards a difficult solution: the new payment system has to be contactless, meaning that a rider can ‘bump’ a card into a scanner to pay on the move. A fair number of current cards in the market cannot support this leading to day one use problems, and the amount of encryption that credit and debit cards require is slow enough to cause potential bottlenecks for paying customers. mPayy has a different take on the matter. mPayy is itself an online payment handling system that prides itself on being fast, secure, and a value proposition to vendors. The company is taking their model to the streets, quite literally, by proposing to harness their APIs to manage CTA fares. mPayy wants to introduce a new solution of ‘open loop’ cards to unbanked riders. The idea involves issuing a card, free to the user, that can be filled with cash at kiosks around the city. The card itself can then be used primarily for riding the CTA, but also for making purchases at stores in the city who choose to support the payment option. As the unbanked can put money onto the card, it functions as an almost debit card, a simple solution to help the chronically unbanked, and it helps alleviate the issues and risks that come with a wholly cash economy. As the information on the card only goes to mPayy and back to the scanning device, it is faster than credit cards, something that the people in the back of the line will appreciate. As the cards would function on mPayy’s larger APIs that they have built, they could be linked to a checking account if the consumer had one, meaning that they could be funded in that way but still remain secure as no sensitive information needs to be on the card to access the mPayy funds, limiting the risk of consumer fraud and loss. From our perspective, suckers for Chicago startups that we are, mPayy wants to introduce something innovative to this city, while other vendors want to take fat fees off of the people who cannot afford them. Will the CTA pick mPayy? We’ll find out soon enough, and we’ll being you the news when it comes.